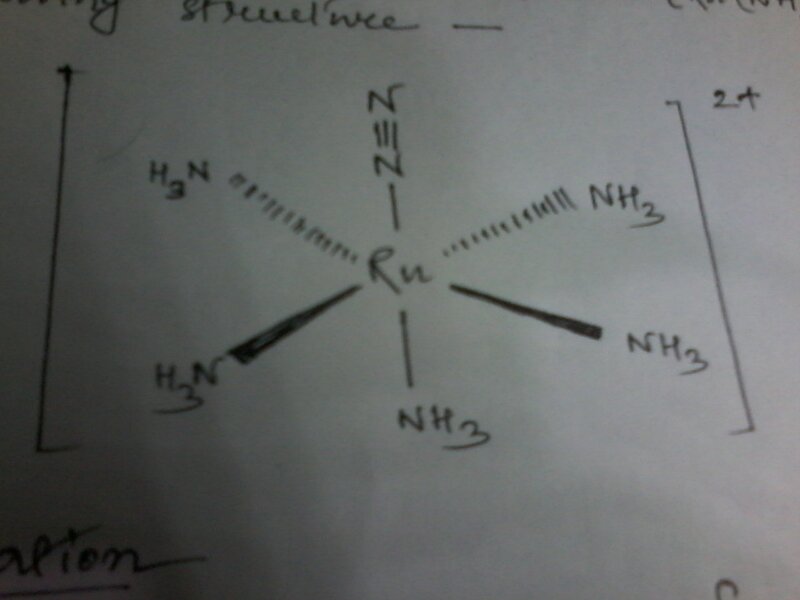 Preparation and bonding of a Dinitrogen ligand complex.. It can be prepared from Ruthenium (III) Chloride and hydrazine hydrate. The N2 complex is stable in aqueous solution has a relatively low ligand exchange rate with water.